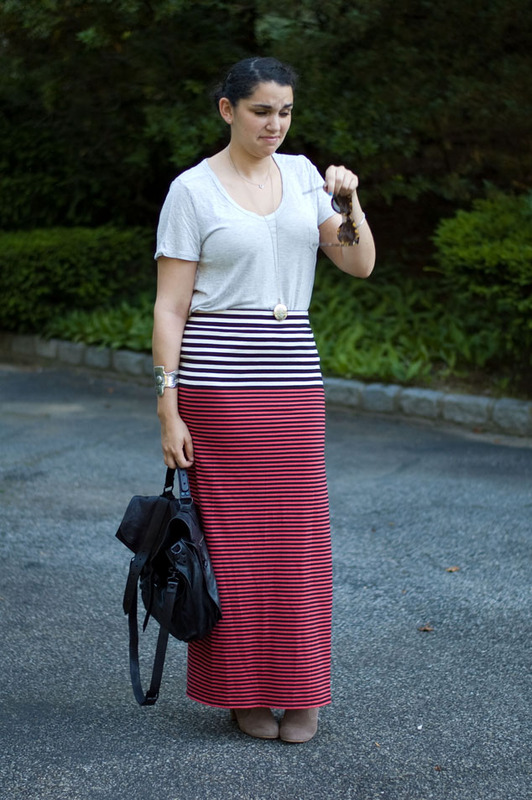 I saw this skirt on the blog Could I Have That and fell in love immediately. Let's start out with the obvious... two tone stripes (black and white and red and black) AH-MA-ZING. Also the fact that the top stripes are thicker than the bottom? And who could forget that slit up the side. I think that this find is definitely a hole in one (can I even apply that expression to this)? This last pose is called, "I have something in my eye and it's bothering me" pose. 3) Running into the BF's friend on the street, while on said bus tour, only to have him crack up laughing and ask, "do you not live here anymore"? Fab in stripes! ha ha glad to know I'm not the only one not in junior high, who has watched HP twice! 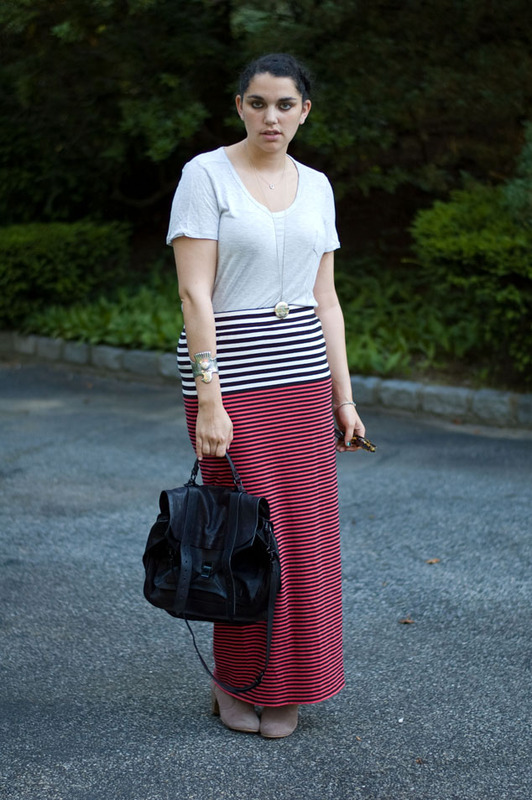 One of the best maxi skirts I've seen so far!